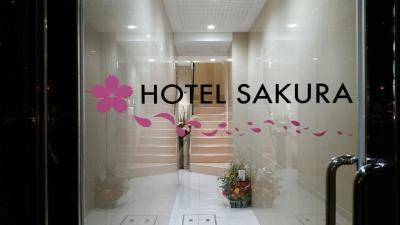 Lock in a great price for Hotel Sakura - rated 8.3 by recent guests. Location is good as there is a airport limousine bus stop nearby and easy access to train lines( with transfers ). Not as “warm” as some of the other hostels but good price and near the train station so for a night on my way through Osaka it was good. Close to the Metro station. Service was good. Shower was good. Beds are comfortable. 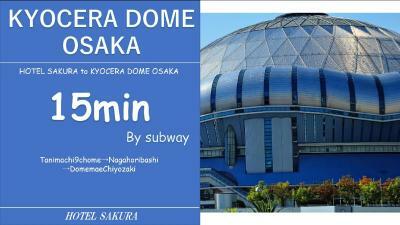 This place is located so near with station. Totally great. It was a decent stay that met with what I expected. I'm not picky and it wasn't bad! 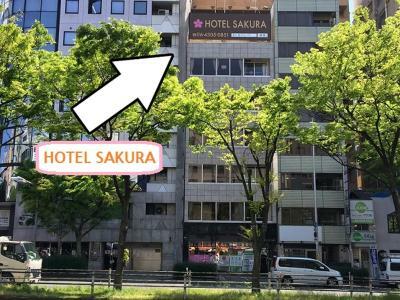 Situated in the heart of Osaka, Hotel Sakura is a 3-minute walk from Tanimachi Kyuchome subway station and Osaka Uehonmachi Station of the Kintetsu Line. 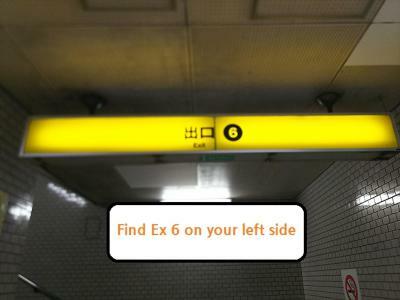 Namba Station is a 10-minute train ride on the subway from the property. 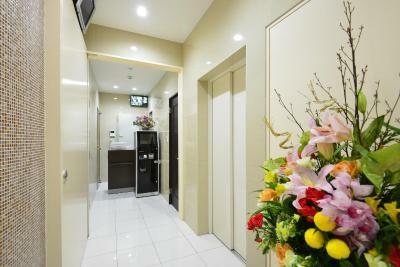 The common area on the 6th floor has an electric kettle and microwave for guest's convenience. Free iced tea is also available for guests. A drinks vending machine and foot massage services are available on site. The garden terrace on the roof provide guests a place to unwind and relax. Various dining options including fast food restaurants, Japanese-style eateries and bars are located within a 5-minute walk from the hotel. 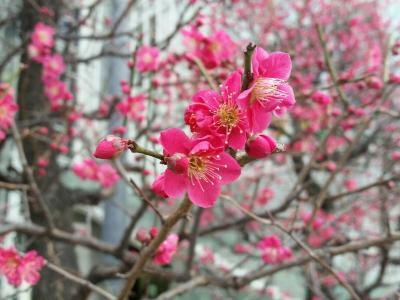 In addition, the Kuromon Ichiba Market, Osaka Castle Park, and the Abeno Harukas in the Tennoji area are all within walking distance from the property. 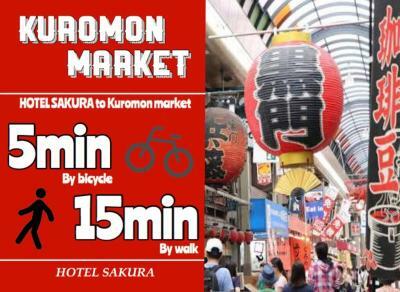 Hanshin-Umeda Station is a 20-minute train ride away from Hotel Sakura. 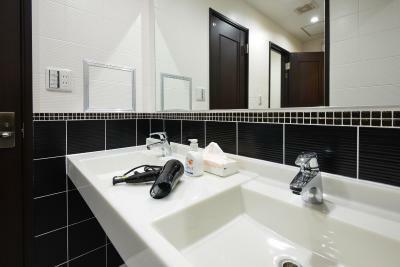 The property is a 50-minute limousine bus ride from Kansai International Airport. The popular Namba area is two stations away via train, and the Umeda district is 12-minutes by train. 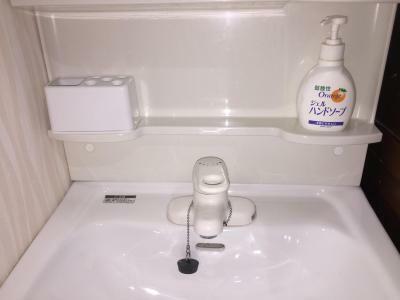 Hotel Sakura has been welcoming Booking.com guests since 26 Dec 2015. When would you like to stay at Hotel Sakura? This bed in dormitory has a tile/marble floor, tumble dryer and air conditioning. 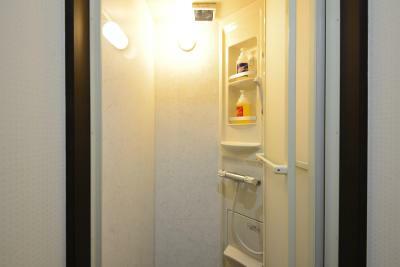 This bed in dormitory has air conditioning, tile/marble floor and tumble dryer. 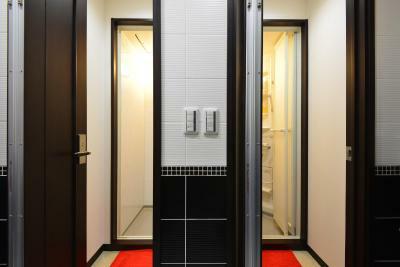 This twin room has a tumble dryer, tile/marble floor and private entrance. House rules Hotel Sakura takes special requests - add in the next step! 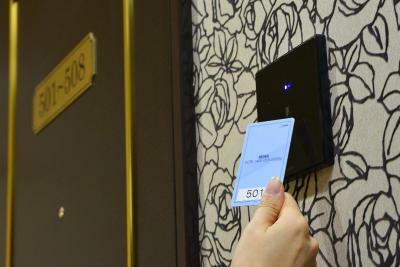 Hotel Sakura accepts these cards and reserves the right to temporarily hold an amount prior to arrival. 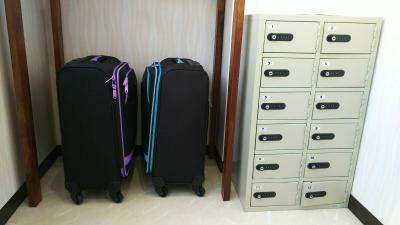 Guests are required to pay a cash deposit upon-check-in, which will be refunded upon check-out. 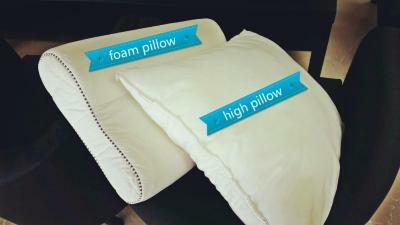 Bed linen change is included for stays of 5 nights or more. Please note that guests may be asked to change beds during their stay, if staying for 2 nights or more. 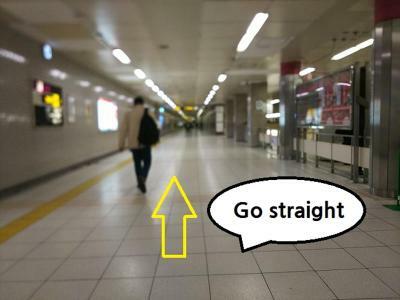 there is no lift to the 7th floor. Very nice hostel. Has separate building with rooftop amd big common space. 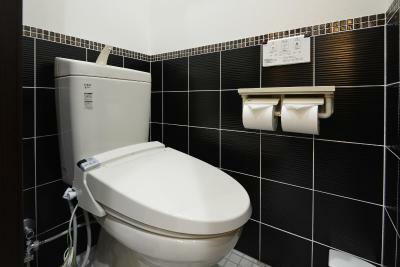 Beds are comfy, toilets are small as everything in Japan but nice and clean. When checking out just drop-and-go your card. Perfect price. Location was really close to the subways. 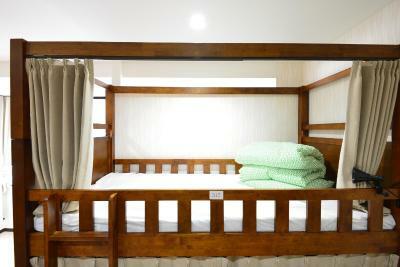 the semiprivate room is very small for 4 people with 2 bunk bed . There is no lock for semiprivate room . Mayb we don’t know about it as we arrive around midnight n no staff there to explain. A lot of things to rent but it is ok for me . Be careful to read the facilities offered . 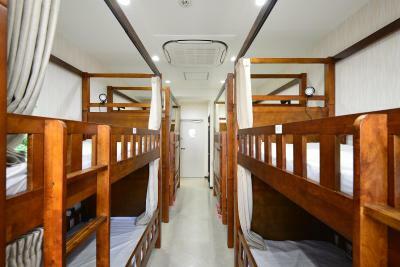 The bunk bed is not easy to sit as there are wood separater (I don’t how to call it) ..
Staff were friendly but not overly helpful (we asked about renting bikes, but were not able to). The beds were not the most comfortable we experienced on our trip to Japan. When we made our reservation, we booked 3 beds in an 4-bed all-female “room”, however it’s not exactly a private room. It has a sliding door but it’s still connected to an all-female dormitory, so we shared the lights with other guests and were able to hear them. 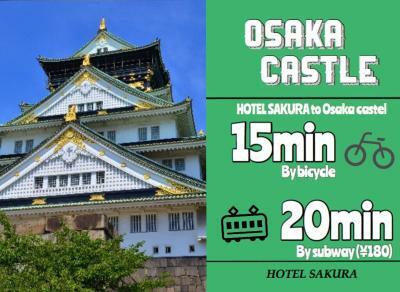 Hotel Sakura is in a good location— a short walk from the subway so you can connect to Kyoto, Nara, and Osaka Castle easily for day trips. 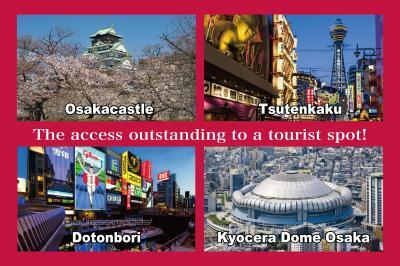 It’s also about a 20 minute walk from the Dotonbori district so there are many good places to eat and see in the area. The rooms were clean and had very nice bathrooms. Our beds all had curtains for privacy and individual “nightlights” so we didn’t bother other guests staying in the room. This is the place where you don't mind having not much privacy. The bed railings are very uncomfortable when people sit down. 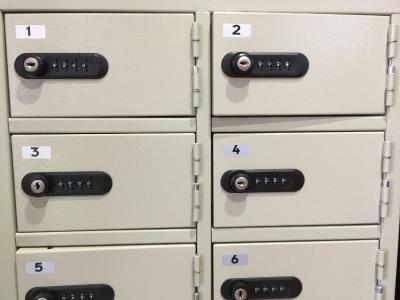 The locker is too small to fit a laptop. The location is good. A Family-mart is right across the street if we look for snacks. Hotel itself was just OK , not the typical Japanese type of pika pika clean. No fridge in room, illuminated fire exit sign in room made sleeping difficult as this was directly facing end of bed.